Here we will keep you updated on all that's going on at the gym! New for you! If you haven't already noticed our new merchandise, you've got to come check everything out! We've got five new styles of shirts and tanks. Whether you're chilling at the river, hanging out with your friends and family, running errands, or getting your fitness on, you'll look great in these comfortable new styles. We've got a hat too, modeled here for you by the beautiful Katelyn! Come get yours now! T-shirts (sleeves) and the hat are $15 and tanks (no sleeves) are $20. If you prefer our old styles, no need to fret! We've got a few in stock too, and we're selling them for $10. 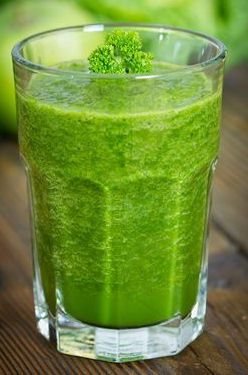 Don't by scared to broaden your taste bud horizons with a green smoothie. Although they look a bit Dr. Seuss, they taste delicious! Plus, they're quick and easy to make and they're a great way to sneak in greens to your diet. Here's a basic recipe to get you started (add ingredients to blender in the order they are listed). To give a little variety you can switch out the milk with coconut milk, almond milk, or soy milk. You can replace the spinach with kale, or go half and half. Squeeze in some lime or lemon juice. Add an apple. Sweeten with some honey. Whatever you want!! Another trick you can do to get a thicker smoothie is freeze your bananas (at least overnight) before blending. Don't just throw your bananas in the freezer!!!! Unless you're planning on making banana bread! To properly freeze your bananas for smoothie use this is what you do: (1) peel the bananas (2) cut the bananas into one inch pieces (3) put them in a freezer safe zip lock (4) put the bag of banana slices in the freezer! When you make your smoothie, take about a banana's worth of slices. Nell showing us how it's done! !